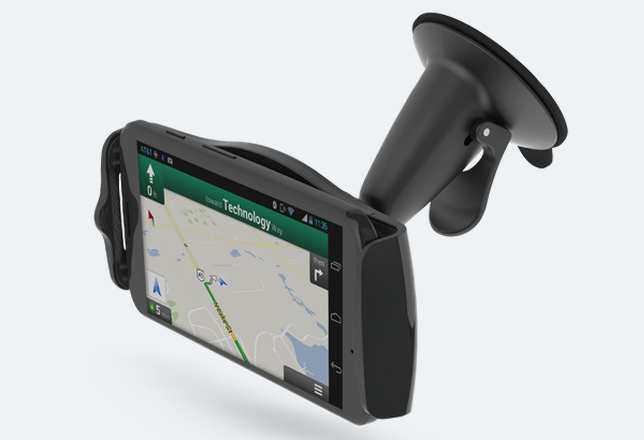 Basic 'Navigation Dock' with few frills made specifically for the Moto X. It seems Motorola is gearing up for the launch of the Moto X more than ever, and has released its second official accessory for the device. Even though you can't buy the phone yet, Motorola has put up for sale an official car dock, made by Griffin specifically for the Moto X. The accessory looks like a basic suction cup mount with a grippy plate that is adjustable for "all but the bulkiest cases" for the phone and an adjustable arm to pivot the phone towards you. The dock will enable car mode when the Moto X is placed in it, and naturally the extra software features for hands-free use should work just fine as well. The dock is selling for $39.95 directly from Motorola at the source link below.